Edward tries to teach Bella to respect a very important player in their relationship. Forget Denmark- Something's rotten in Scotland, and things are about to get a whole lot worse when a certain sneeky, future-seeing vampire decides it's time for the Cullen family- the whole Cullen family- to take a trip. But, something's missing from Alice's visions, something that's going to, well, mess up all her plans. And once things get started, there's really not much anyone can do to stop a certain vengeful vamp from getting what she wants, one way or another. WARNING: This is NOT a happy, fun story. People die in brutal ways. People are tortured, maimed, and mentally abused in even more brutal ways. If you're sensitive to such things, please do not read this story. I understand it is not for everyone. Edward is in a meadow, alone with his thoughts, when someone appears. He can't believe what he's seeing. If he could only, truly, see her again . . . .
Dicclaimer: Stephenie Meyer owns everything Twilight. Edward leaves Bella in New Moon, Emmett finds her, and a new love forms. Edward will do everything in his power to get Bella back. But does she stay with the lovely Emmett or does she go back to brooding Edward? OOC. Bella loves Edward, she knows that he’s her soulmate and yet she also has feelings for Jacob. It’s not the same kind of love, but it’s love nonetheless. Each man brings out different passions within her, and although she often feels guilty for loving two men at the same time, she can’t deny the feelings deep within her. Both men have inspired sexual fantasies and explicit dreams, but she fears losing them both if she ever voiced her desires. What would happen if for just one night - she could have them both? Thanks to the fabulously talented achelle131 for the HOT banner! Post New Moon. It's been three years since Edward left Bella in the forest behind her house and he never came back. She's just trying to put her life back together again and learning how to move on. He's been watching her from afar, constantly reminded of the mistake he made. Inspired by the song 'Somedays' performed by jacksoul and written by Jon Levine. "Three years. Three years exactly. One thousand, ninety five and three quarter days since he left me standing at the edge of the forest that encroached on the yard. Twenty six thousand, two hundred and eighty hours since he told me that he didn’t love me, that he didn’t want me. One million, five hundred seventy six thousand and eight hundred minutes since he broke my heart." What happened the first time Edward met the Volturi when he thought Bella died? What does Aro think about Carlisle's protege? Becoming a three chapter story! Song-fic based on Danity Kane's 'Stay With Me'. A look into Bella's mind the night that Edward left her. What if Bella had went back to Phoenix after Edward left her? What if Laurent had found her and Jake and the other wolves weren’t around to protect her? My version of New Moon. Picks up after Edward and the rest of the Cullens leave Forks. New Moon AU. Bella finds something much more dangerous than a motorcycle hoping to hear Edward's voice. Rated NC-17. Warning: Contains sexual assault. If you are sensitive to this subject, please do not read. My last question, I knew, would cut deep. be friends. We don't belong together in the real world, Embry. It was never meant to be." What if Edward kept his promise and Bella never heard from the Cullens again? Jacob was more than willing to console her, but would she have the sense to let him? "You know what your problem is, Bells? You're in love - with the wrong thing. You think you're hung up on a guy who left you, but you're not. You're hung up on the idea of yourself as the heartbroken heroine." Alternate ending to New Moon...just a nice love story, with monsters. Rated for certain chapters, at a sultry 108 degrees! 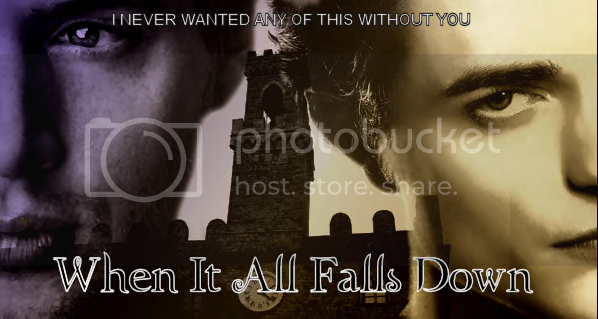 Many thanks to Sassenach Wench for the stylish story banner! Be sure to read the follow up fics '93 Million Miles' and 'Jacob's Ladder' posted here on Twilighted! What would have happened if Jake had been the first of the Quileutes to phase? What if it was too late to help his best friend? How do they find their places in a new world filled with the supernatural. Bella looks to Jacob to hold her together physically and emotionally through her chaos. Wolf lore is becoming engrained in Bella's life... There is still danger lurking around every corner. Will Bella figure out were to draw the line? Rated NC-17 for future language and lemons! This is a one-shot (outtake) from the multi-chaptered story, "Nice Catch". Picks up immediately following Ch. 16 but can stand alone. Please note that this story is not Rated T as the original story is. Edward and Bella are reunited after almost nine years apart. Changes and circumstances are powerful, but nothing can compare to undying love and its ability to make everything possible. ExB. lemon. Summary: Edward returns to Forks with Bella after she saves him in Volterra. However, he is not pleased with the family vote to change her and leaves again immediately. This time Rosalie leaves with him because Emmett agrees that Bella should be changed. Their friendship will evolve from their mutual pain. But what will happen when their mates return? What if, instead of trying to distract Edward with kisses on page 51 of New Moon, Bella and Edward had actually talked about what was bothering him? Would Bella have been able to talk him out of questioning his place in her life? Full Moon is my AU version of Stephanie Meyer’s New Moon that answers the question: what might have happened to our star-crossed lovers if Edward had not left Forks for parts unknown? One-shot, set during New Moon. After the Cullens leave Bella can't move on or forget, she feels guilty for thinking of Edward while spending time with Jacob. (No happy ending here).